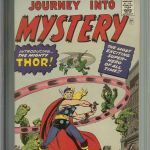 Journey Into Mystery comic book #83 is significant and valuable because it’s the origin and 1st appearance of Thor, aka Doctor Don Blake. 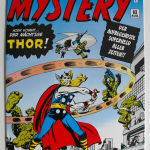 Below are current values for this comic book and come from ebay data. Keep in mind the prices don’t reflect selling & payment processing fees. 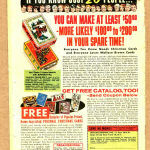 Additionally, the values are for comic books already graded by a third party – which is an added cost. If you are trying to sell your comic book to a dealer, they will likely offer you about 50% less than the values listed below. 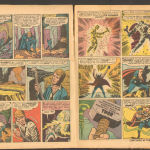 For a comic book this significant, you can likely talk them into paying you a bit more, especially if the comic book is in really good condition. We update our values every quarter, but for the most recent complete sales you can find them here . 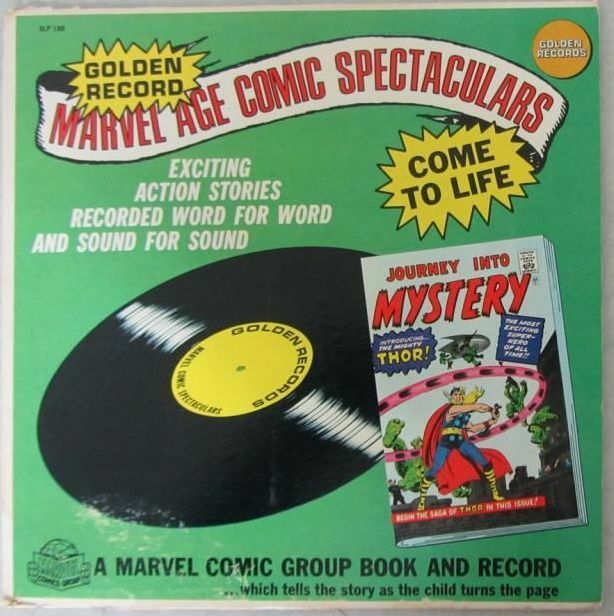 Marvel would reprint certain comic books that achieved a sales mark and would release them to collectors in a sealed package that was similar to vinyl record packaging. 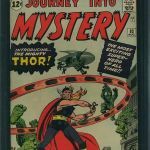 While these reprints are still valuable, be careful not to be fooled you are buying an original Journey Into Mystery #83. The Golden Records reprint copies do not have the “83 Aug.” date box to the right of the title. 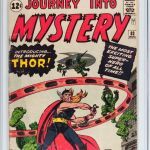 This entry was posted in Comic Book Values and tagged Comic Book Values, Journey Into Mystery, Marvel Comics, Thor by Comics Watcher. Bookmark the permalink.